Dr. Frank Brettschneider serves as president of Port Huron Ear, Nose, and Throat, PC, and offers advanced otolaryngology and oro-facial plastic surgery solutions. Dr. Frank Brettschneider’s areas of focus include obstructive sleep apnea and conditions of the salivary glands. Saliva has a number of essential functions, including facilitating the swallowing and digestion of food and protecting teeth from bacteria. Released from three major pairs of glands, saliva also secretes through hundreds of tiny glands within the mouth and throat. 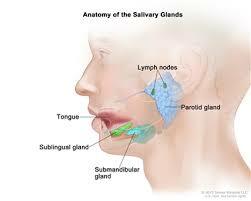 Saliva drains into the mouth via ducts, and these are susceptible to blockage by sialoliths, or salivary stones. Formed by crystallized saliva deposit buildups, the stones can block the ducts, causing the saliva to get backed up and leading to swelling and pain that progressively worsens over time. In cases where the salivary gland duct is blocked for an extended period, sialadenitis, or salivary gland infection, can occur. This results in a tender lump within the gland and drainage of bad-tasting pus in the mouth. In cases of duct blockage and stones, usual treatments include applying warm compresses, removing stones manually, and eating sour candy as a way of increasing saliva flow. In more serious cases, surgery may be needed to eliminate blockage from specific glands. Another common issue with salivary glands is viral infections, including flu and mumps, which cause swelling of the parotid glands on either side of the face. This results in the patient having a “chipmunk cheeks” appearance. Dr. Frank Brettschneider holds a doctor of otolaryngology and has led Port Huron Ear, Nose, and Throat, PC, in Michigan for nearly three decades. Areas in which Dr. Frank Brettschneider has extensive experience include sleep apnea, dizziness, ear infections, and allergies. One of the most common types of allergies is the pollen allergy, with hay fever particularly acute in the springtime when plants and flowers send their pollen into the air while blooming. Common producers of pollen include grasses, weeds, and trees such as oak and cedar. For those who are sensitive to pollen, the body’s immune system reacts to pollen by producing histamine. This causes symptoms such as itchy eyes, sneezing, a stuffy or runny nose, and wheezing. One common way of addressing hay fever is through over-the-counter antihistamines, which work to block the histamine produced by the body. In other cases, medicines may be prescribed that block allergy-triggering chemicals other than histamines. For those with persistent symptoms, allergy shots may be recommended over an extended period of time. With this treatment, an allergy specialist delivers injections containing minuscule amounts of the problematic pollen. Continued exposure accustoms the body to the trigger pollen and ultimately eases symptoms. 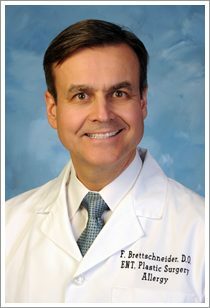 Practicing medicine for more than three decades, Dr. Frank Brettschneider treats patients at his own private surgical practice in Port Huron, Michigan. Outside of his medical career, Dr. Frank Brettschneider supports numerous nonprofit organizations including United Way. In May 2017, United Way Worldwide saw Mary B. Sellers installed as the organization’s new president in the United States. She comes to the position having previously served as CEO and president of the United Way of Central Iowa and boasts some 25 years of executive nonprofit leadership experience. In her new role, she will oversee the organization’s nationwide engagement approach with local United Way chapters in an effort to build a streamlined, cohesive set of goals and principles across all of the organization’s groups throughout the country. Prior to entering the workforce, Ms. Sellers earned her undergraduate degree from the University of Florida and completed her MBA studies at the University of Iowa. A specialist board certified in otolaryngology in Michigan, Dr. Frank Brettschneider earned his DO from Michigan State University. Dr. Frank Brettschneider treats patients with problems such as tonsillitis at Port Huron Ear, Nose, and Throat, PC. 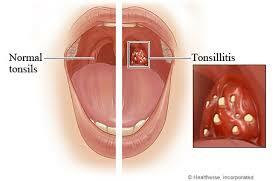 Sometimes, the tonsils, or the tissue in the rear of the throat, become infected, resulting in tonsillitis. The condition causes symptoms like pain, swelling, and tenderness in the throat and in nearby lymph nodes. Patients often associate tonsillitis with surgery, a treatment that was once commonly used to address the condition. These days, however, doctors reserve surgery only for those cases that recur or show resistance to more conservative therapies. The origins of the infection can be viral or bacterial in nature. Up to 70 percent of cases originate from viruses, and the remainder originate from bacteria, usually the bacteria that cause strep throat. Moderate viral tonsillitis cases may not require medication, but doctors may prescribe antibiotics to address bacterial tonsillitis. Dr. Frank Brettschneider, who specializes in disorders affecting the nose, throat, and ears, sees patients for a variety reasons at his practice in Port Huron, Michigan. For instance, Dr. Frank Brettschneider helps children experiencing ear infections. Ear infections are a common condition, particularly in young children. 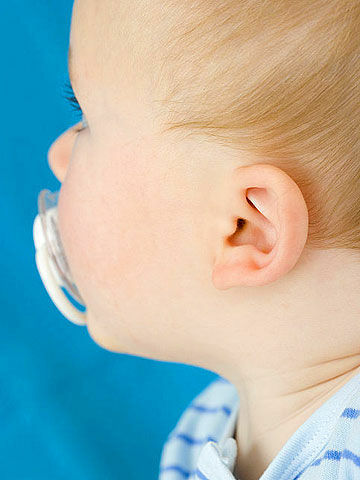 In fact, the majority of children will develop an ear infection in the first three years of life. However, parents can take a number of precautions to help make it less likely that children will experience the problem. Parents can improve a child’s environment by not smoking nearby, since a link between smoking and an increased likelihood of ear infections has been shown to exist. Additionally, they should try to minimize children’s exposure to germs by making sure children wash their hands. Enrolling kids in a daycare with smaller group sizes, as well as limiting the amount of time children spend with peers who aren’t feeling well, are other good ideas. Finally, following good practices regarding pacifiers and bottles can also help. For instance, parents may encourage children to stop using pacifiers after the age of 1, since continued pacifier use after a year of age is a risk factor for ear infections. Additionally, parents should make sure children sit up when they drink from a bottle.